It's Christmastime, and what better way to celebrate than with good food, good wine, a good friend ... and her poems. In this reading, Amy King takes us to dinner, but it is not bread alone that we enjoy. King's poems don't simply satisfy, they challenge us to reconsider our assumptions about language itself. 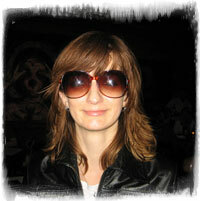 For more, read Apostrophe Cast's interview with Amy King and visit Amy's blog.